A surgeon announces his retirement at age 55. His amazed and envious colleagues ask him how he can do it. This joke, which was bouncing around the E-mail circuit months ago, cuts to the heart of a bitter truth. Divorce often exacts a very a high cost both financial and emotional on all the people involved. And, in some cases, they keep on paying both emotionally and financially for the rest of their lives. As a marriage and relationship counselor, I see and hear about the high cost of divorce on a daily basis. I hear alarming statistics about the high divorce rate in the United States and the toll exacted on the men, women and children involved. Despite the high price to pay, it’s really surprising that divorce is so common. There’s a simple reason: Very few of us know how love relationships work. Although Americans tend to have a very pragmatic view of life in general, love relationships are a big exception. A lot of us view love as a holy mystery — something wonderful that “just happens.” Few of us really understand why we choose the object of our affections or why they choose us. And when the first bloom of infatuation wears off, we lack the skills and insight we need to “grow up” in the relationship. As the less than wonderful reality of living, day in and day out, year after year, with the same person sinks in, the “something wonderful that happened” just happens to die. At that point, some couples choose divorce. Others settle for an unrewarding “parallel” relationship. They stay together, side by side. But like two railroad tracks, they never connect. For divorced and “parallel” couples, Valentine’s Day or anniversaries can be sad occasions. It celebrates a romantic ideal of love they’ve failed to sustain. 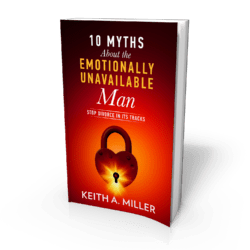 But, ironically, people are more likely to buy a Valentine card or present that doesn’t reflect their true feelings than to invest in counseling to find out why their relationship doesn’t work. Although counseling in general has less of a stigma today, marriage counseling is still painful territory. Try this test: When you hear that a married couple you know is “in counseling,” what’s your first thought? Did you translate that phrase almost directly into “about to get a divorce”? In fact, couples in counseling are there to learn to understand and maintain relationships. We go to school for years to learn the language and math skills we need to get along in our society. 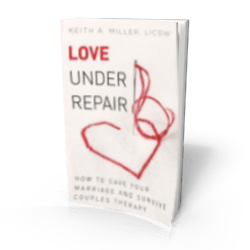 But we receive little conscious instruction in how to do one of the most important things in our lives create and maintain a loving relationship. So the unconscious cues we pick up during childhood usually determine the way we approach relationships for the rest of our lives. By learning these skills consciously, people can choose not to repeat the negative patterns they were programmed to act out during childhood. Most couples tell me that the worst aspect of their divorce is the sense of failure. Few want to repeat their mistakes. And the growing numbers of people who are now in their third or fourth marriages attest to the fact that people do repeat their mistakes, over and over, in love relationships. To teach them to recognize the unconscious forces at work in their relationship. Some couples might decide they need more counseling to improve their relationship skills and their understanding of one another. Some might discover before marriage that they aren’t ready to be in a long-term relationship. And others will make the happy discovery that, because or regardless of the models they had while growing up, they are capable of learning new ways of relating that result in healing, growth and intimacy. 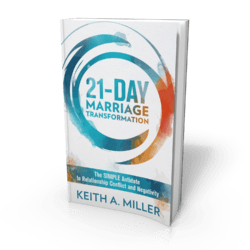 If every couple who was married first had the chance to do premarital counseling, everyone would have the opportunity to start out with a more realistic understanding of why they want to be married, what they expect to gain from their relationship, and what they’ll have to do to make it work. Compared to the high cost of divorce, the cost of pre-marital counseling is a drop in that overflowing bucket.